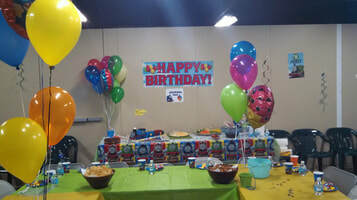 ​ Book your upcoming birthday party today. Cost: $3 per person (museum takes head count of every adult and child who attends the party). Decorate the room as you see fit. Bring in any food and drink. Subtle entertainment is allowed: Clowns and other performers are popular. Karaoke and other electronic entertainment are allowed as well as long as noise doesn't pollute museum. Pinatas and other party favors are allowed. Located along the Mississippi River at the crossroads of the Great River Road and the Lincoln Highway, come discover when Clinton was at the crossroads of lografts, sawmills, and railroads.